Product Information- The NIVEA Daily Essentials Refreshing Facial Cleansing Wipes, thorough cleansing of normal and combination skin, also provides refreshing hydration. Directions for use: Gently cleanse face, neck and eye area with soft wipe, keeping eyes closed. Carefully reseal the bag after use with the self-adhesive label to prevent drying out. 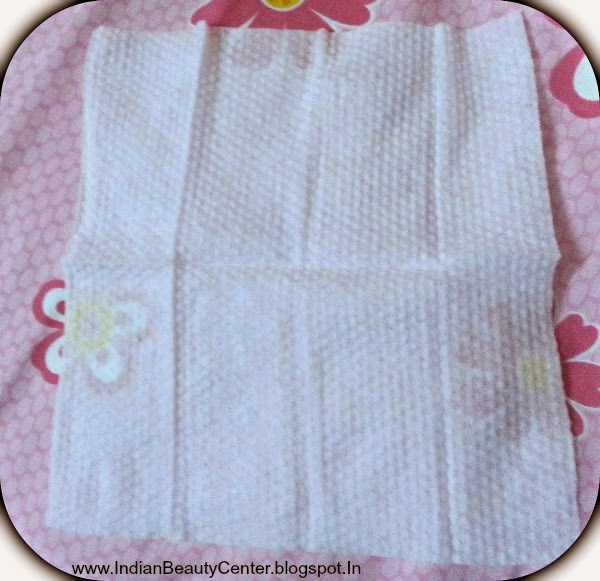 No makeup junkie can live without makeup removers...isn't it? I previously used the Cuticura Cleansing wipes and a friend of mine suggested me to use these. These comes in a pack of 20 with transparent self adhesive label to prevent them from drying. 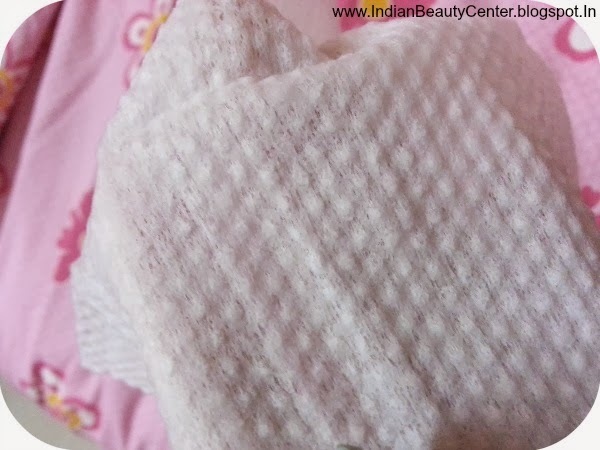 This pack of simple face wipes costs only PKR 275, which is around 163 INR, and is easily available at any drugstore. You can also buy these Nivea facial wipes online from the official website for only 3.09 pounds. 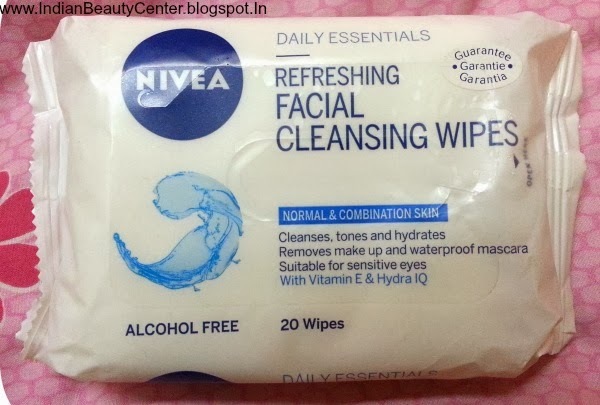 I used the Nivea cleansing wipes only twice and I can feel the difference on my skin, They are more than make removing wipes for sure. These are very easy and gentle on your face. I didn't need to rub it hard on my eyes to get off the eye shadow and my waterproof liner and mascara. 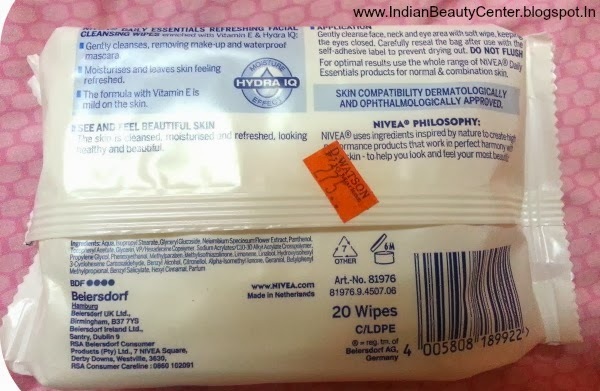 These wipes smell like the classic Nivea moisturizing cream and I totally love it. It helps in cleansing, toning, hydrating skin, removing makeup and waterproof mascara. Is suitable for sensitive eyes. It removed all my makeup however there was a bit need of going through the CTM (cleansing, toning and moisturizing) routine so I did. 4. Does not dry the skin out. 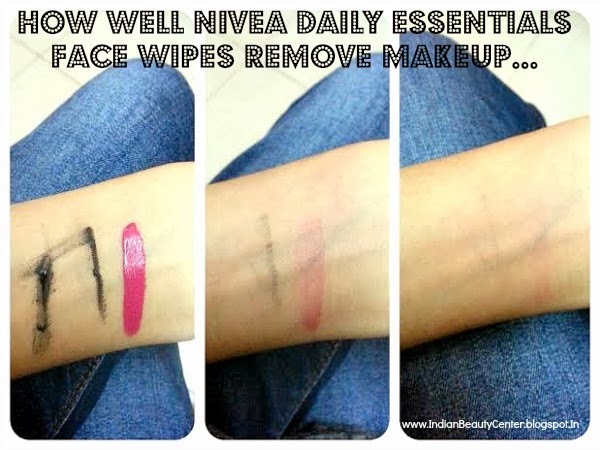 Above is the picture showing how I these wipes to remove my waterproof mascara, waterproof gel eyeliner and my 24 hour lipstick. It took me about half a minute to rub it off completely. Very effective! would love to try these! Lovely review Fatemah, I think I should give them a try. Nice review Fatemah, this looks good! Looks good esp during travel time. Seems good enough for regular use and for so those not so heavy makeup days. I haven't tried these before. They look like they do a good job for a cleansing wipe, if you're in a hurry! Great review. sounds like a decent product...i have been using my kids johnsons wipes for ages now! wow seems a great product especially to get rid of waterproof make up and it is so easy to carry.